In a quick poll that asked our readers “How Are You Buying Movies Now?” an overwhelming percentage (67%) said they still buy Blu-ray Combos that include codes to redeem digital copies. The rest of the responses were almost split. 18% of poll takers said it really depends on the title, and only 15% said they are buying digital only. This isn’t a surprise. While some industry experts and consumers alike predicted digital libraries would eventually replace disc hard copies as streaming technology improved, the transition seems to be taking longer than expected. The reason could be explained in a few different ways. One. The joy of physical media. Just as music lovers and audiophiles have pushed a reemergence of vinyl records, movies and TV shows on disc still see strong sales, especially among collectors. 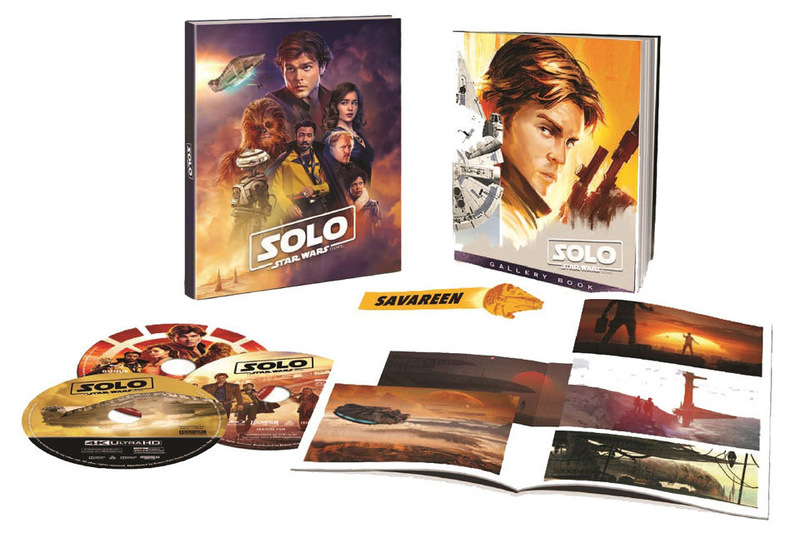 Exclusive packaged editions from retailers like Best Buy, Target, Walmart, and sometimes Amazon usually offer collectible components not available in common disc editions like action figures, exclusive bonus content, and special packaging like SteelBook editions that feature custom artwork. Plus, holding a physical object, especially something you own, just feels good! Two. Many of us don’t trust the digital cloud! It’s not uncommon for those of us who have purchased digital media in past to find that it can just disappear from our libraries. Take for instance the recent scare among iTunes movies collectors that their purchased titles aren’t actually owned! This was sort of cleared up by a response by Apple to Forbes writer John Archer that explains it has to do with iTunes users changing their country setting. In other words, if you buy a movie under a US setting it may not work in Canada. In terms of digital rights management this makes sense, because distributers may only own the rights to a title in a certain country or region. It doesn’t explain, however, the many other iTunes users who have reported titles disappearing from their libraries. Worse than the iTunes issue though is the case of CinemaNow, the once Best-Buy owned company that crumbled last summer. After being acquired by several companies and most significantly FilmOn since 2016, CinemaNow just stopped working – both the website and apps – and left many customers without access to their digital libraries. Many of those customers had not linked an UltraViolet account (which could have stored some of their purchased titles) or had unused store credit on CinemaNow that was dissolved. Now there’s a reason to own a disc! Three: Disc media, especially Ultra HD Blu-ray, just looks so darn good. Streaming movies, even downloaded, can often be subject to banding (especially in dark areas) where video compression may break colors and gradients down to simpler forms rather than smooth gradients possible with higher bit-rate disc formats. There is also the issue of bandwidth. If you are streaming from a congested or throttled internet connection the video quality may be reduced. There are also buffering issues, which have largely been solved, that can result in poor video quality at the start or during sections of playback. And, don’t forget audio. The majority of digital movies are stuck in Dolby 5.1 land, while Blu-rays offer DTS:X, Dolby Atmos and Dolby TrueHD as a fallback. However, Vudu’s stock of movies with higher quality audio formats is pretty impressive, and Apple is launching Dolby Atmos along with this week’s tvOS 12 update. Some questions remain though for the future of home media. Will there always be Blu-ray and 4k Blu-ray disc players? Will consumers eventually download movies (many already do) to hard drives to ensure possession and ownership of a title? Will digital movie platforms like iTunes, Google and Vudu end up using subscription models like Netflix and Prime? Will there come a time when a purchased title has an expiration date rather than assumed “lifetime” ownership? These may be questions only time can tell. But for now, and for the foreseeable future, a physical disc will ensure ownership and playback for years to come, just as early phonographs from the late 1800’s can still be listened to today. Next Next post: New Releases This Week: Solo: A Star Wars Story, Uncle Drew & More! That’s so true! Didn’t even think to mention that ISPs may charge for overage — it’s hard to imagine we still have internet caps to worry about!